Namibia is a vast and arid country, noted for its remarkable conservation successes throughout the years. Despite the low rainfall and arid conditions found throughout Namibia its wildlife is flourishing, and the country is home to some animals that have developed unique adaptations to this inhospitable environment. Most of these enigmas are found in and around the Namib Desert in the Kunene region – a large slab of land sandwiched between the boundaries of Etosha National Park and the desolate Skeleton Coast – best-known for its desert-adapted elephant and lion. With its centre about 650km from your Windhoek accommodation, the Kunene region is a fascinating place to spend a few days before venturing further afield into the Etosha National Park. The desert-adapted lions of Namibia are a particularly interesting drawcard for tourists to the Kunene, with about 130 of these unique creatures distributed throughout the northern reaches of the region. These predators have developed several survival tactics for coping in the harsh surroundings of this unique landscape. They have adapted their tastes to include seals and cormorants, along with gemsbok and ostrich in their diet, although they are also known to take livestock, which brings them into constant conflict with the local population. Due to their value as a tourist attraction, the Kunene Lion Project and the Communal Conservancy Programme has been set up to protect both the lions and the locals from the consequences of living together, by fitting the desert lions with tracking collars so that conservationists may keep an eye on their movements. Over the centuries, the lions have also developed little need for water, being able to forego drinking for long stretches, while traversing the desert for miles in search of food. They also band together in much smaller prides than most African lions, with a maximum of 10 members, relying on stealth and skill instead of numbers while hunting. The females also leave their mothers for greener pastures at the tender age of 18 months, two years earlier than those in the Serengeti. Female desert lions rarely give birth to more than 2 cubs at a time, which keeps the number of mouths to feed at a minimum. Surprisingly the survival rate of these cubs is 90% – far higher than any other lion population in Africa. 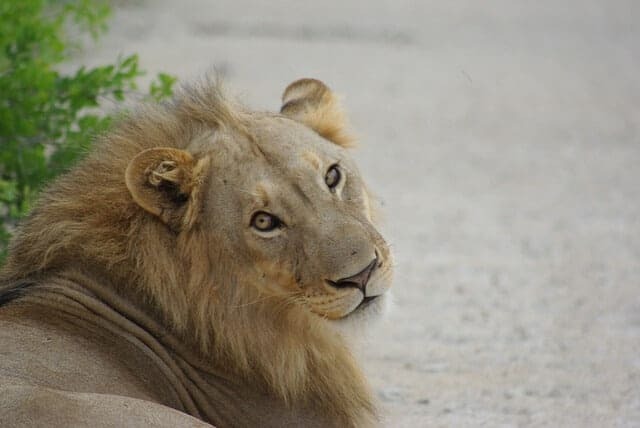 The desert lions are just one of the amazing things to see when travelling to Namibia, book your accommodation in Windhoek and start exploring.